The trolls came for Cavuto after his blistering criticism of Trump on Thursday. On Friday, he fought back. "I guess you’re too busy draining the swamp to ever stop and smell the stink you’re creating." "How long do you think they put up with this?" "There's nothing fake about what I said, bottom line." Fox News' Neil Cavuto Calls Out Donald Trump: Stop Scapegoating. You Are The Problem. "Mr. President, it is not the fake news media that’s your problem. It’s you." While others have traced the first appearance of this bogus Madison quote back to a 1958 calendar, I was determined to hunt down its exact source and prove once and for all that this quote did not come from James Madison. A fundamental mystery underlies this season's Republican presidential primary debates: How can it be that the two highest-polling contenders -- Donald Trump and Ben Carson -- are also two of the field's least capable debaters? 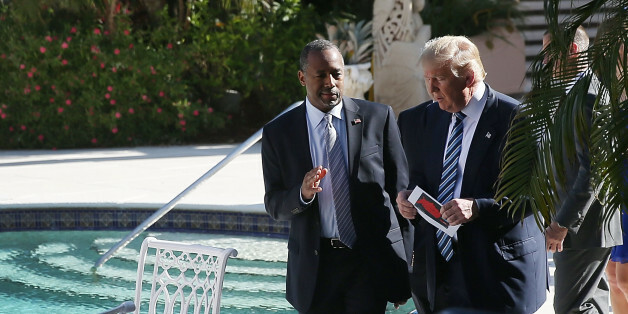 In the Republican candidates' fourth appearance together, Trump and Carson once again showed themselves to be out of their depth. Operating in a milieu that calls for command of the issues, both hid behind their familiar, personality-based shtick, leaving the heavy lifting of intellectual engagement to their rivals onstage. The theme of this Fox Business Channel debate was the economy, which ought to have handed Trump an automatic advantage. Yet instead of using the platform to highlight his strong suit, Trump frittered away his time. Candidates repeatedly got lost in Maria Bartiromo's eyes. You know--the media. Am I right? Huh? Who's with me? Unfair questions pertaining to business, economy, jobs, taxes, trade, Wall Street, median wages, oil prices, retail sales, Social Security. "That's big and that's on me, and only me."